The main idea of the exhibition is a concept metamorphosed into a form bearing the personal artistic language or technique of the creator. The curators’ own selections offer the public a variety of original perspectives. 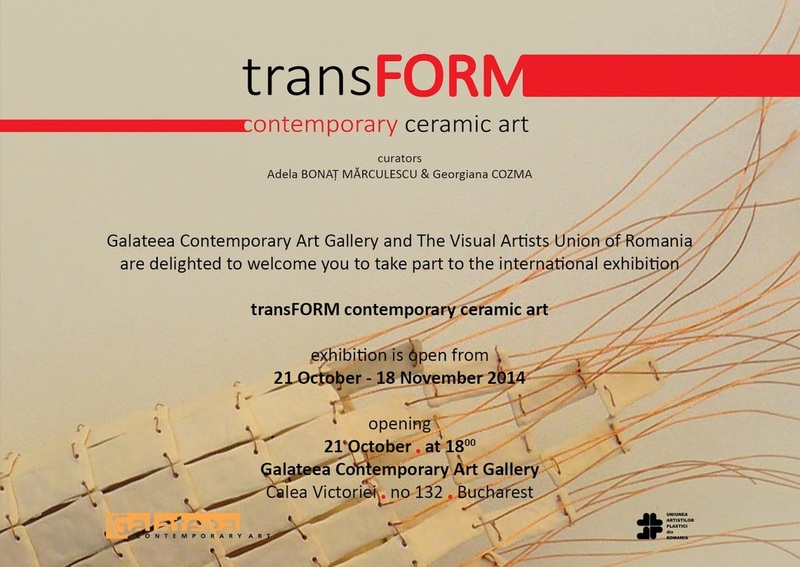 Artists belonging to different cultural areas and with distinct approaches, both conceptually and visually, they give rise to a coherent ensemble hosted by Galatea Contemporary Art Gallery. Multimedia installation created by Lilianne Milgrom adjacent to ceramic assemblages of Gudrun Kainz and Anthony Stellaccio are complementary to sculptural approaches presented by Kamila Szezesna, Rafael Pérez and Bianca Boeroiu. The artistically cohabitation of Werner Nowka and Monika Schöedel-Müeller engender a video-projection concentred on the binomial creation/destruction that lives in symbiosis with the sculptural ceramic objects the two artists have individually created. Simona Antoniu and Daniela Făiniş conceptually introspect the portrait topic through parietal ceramic objects, while the porcelain miniatures of Ioana Şetran together with the hermetically conceptual approach of Andrea Éva Szőcs conclude the whole circle.